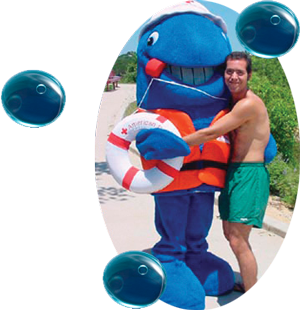 The mission of AQUAKNOW AQUATICS is to advocate AQUA-tic Health and Safety KNOW-ledge that will promote a lifetime filled with safe water activities. The classes are directed and taught by Don Crowley, a University of Texas Faculty member in the Department of Kinesiology and Health Education, an American Red Cross Instructor Trainer & Volunteer and a US Swimming and Diving coach with more than 20 years of aquatic instruction experience. Course offerings include swimming lessons for children and adults, special needs instruction, safety courses, and group and private lessons. Water Safety in the News!! Copyright © 2011 AquaKnow Aquatics.